If you are like most tenants struggling with a leasing decision and in utter chaos, scrambling to find a solution to your office space needs, you have stumbled upon the right website. At Atlanta Office Search, we aim to help tenants evaluate their needs and determine their best options for negotiations in renewals or relocations. By using our expertise, we allow you to make these determinations in the most efficient and cost effective ways. 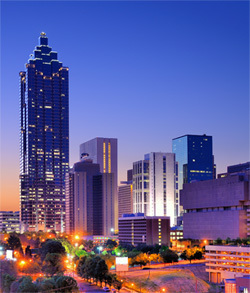 Allow Atlanta Office Search to take the guess work and worry out of this process for you as this is all we do every day. We only focus on the transactions from the tenant or purchaser’s side of the negotiation table. We aim to provide secure and trustworthy market data to all of our clients by arming you with comprehensive information necessary to gain an advantage in your lease and purchase negotiations! Whether you are computer savvy or not, there is no need to be intimidated by this process..All you have to do is enter your requirement in the search engine of our website and leave the rest to us.Per your requirements, we provide you with an availability survey. Based on the data you provided, we attempt to provide the best survey possible. Because there are many factors to consider in any transaction, we often find that it may take a couple of revised searches to hone in on your exact requirement, but we will assist you every step of the way to do that. You are thinking – nothing is for FREE! It is true that nothing worth having is. The good news here is that you don’t pay for our services, the Landlord or Seller does. Even better news is this – We represent hundreds of tenants throughout Atlanta, and nationally. Because of this, we know how to negotiate for the best terms based on availabilities in the market and therefore, we will save your firm money and time. Imagine if you bought 20 cars a year from a car dealer versus 1 every five years. Who do you think will get the best price? We negotiate sales and lease agreements every day and as repeat negotiators, we will get you the best terms in the market. It quickly becomes obvious as you visit the website, all of the points of a lease or purchase decision can’t be answered on a website. You will have some questions in mind and they keep building up as you explore the site. Leasing and purchase decisions can involve millions of dollars and you will need to meet with a competent and professional advisor. After we have received your preliminary data requirements and assemble the draft survey, we will set up a meeting with you and your team members to establish a more detailed survey and answer many of your questions. What kind of concessions such as free rent can I get? What about the costs of the build out? Is the landlord responsible for that or am I? Will I have to personally guarantee the lease? What financial information will they require? How long a term will they require? What are the benefits of a long-term lease? What is a sublease? Are there any risks in taking a sublease? To all these questions, there are logical answers and we can provide all of them to you..
We have offices in Atlanta along the perimeter at 5887 Glenridge Drive, Suite 250, Atlanta, Georgia 30328. Email is the best method to get to us. You can do this through our Contact Us page. We try to be as accessible as possible, even if its a question or a dilemma you have outside one of our markets, we will reply back and take it seriously. You can certainly pass on suggestions to us as well! We will give you the information you want and need! We are excited to provide the market information and knowledge to help you in your upcoming decisions, as well as coach you through this complex transaction. We promise to deliver the best overall experience, and that you will love and endear our services.